Free All Access Pass Sign Up - Dr. Willie Jolley | Official Website of the #1 Motivational/Inspirational Speaker & Singer in America! Join the Willie Jolley Network and get FREE access to specially designed tools to help your exponentially grow your success! Sign up today to listen to this powerul interview with Bob Johnson, America’s first African American Billionaire, as he shares how he went from broke to billionaire! FREE Powerful interviews of America's top entrepreneurs, taken from Dr. Willie Jolley's SiriusXM Radio Show! Become a motivator and help others along the way! Refer information about our motivational products to people in your business, your friends, relatives, colleagues and acquaintances. 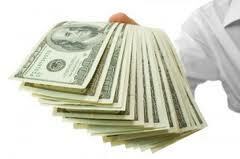 Start earning money for every sale you send our way! Simply create your account, place your referral link into your website and watch your account balance grow as your visitors become our customers. The visitors IP is logged and a "cookie" is placed in their browser for tracking purposes. Earn 15% on all product sales and a $500 commission on all booked speaking engagements that come through your link. Just fill out the form below to get started. Already a Referral Program member? Click here to access your Referral Resource Center.